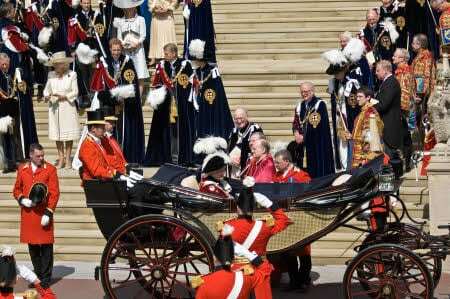 Garter Day in 2010 took place on Monday 14 June. 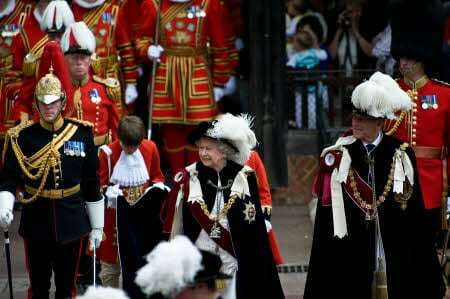 King George VI reintroduced an annual service for the Order of the Garter in 1948. Up to that year services had been held irregularly. At first glance the processions, uniforms, robes and music seen and heard on Garter Day might appear to add up to nothing more than splendid pageantry. However sitting at the core of the day is a service of worship, a thanksgiving service, to Almighty God surrounded by the symbolism of duty and service to Country and Commonwealth. 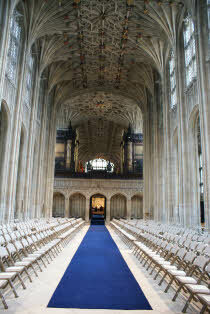 The empty Nave awaiting the arrival of the congregationThe build up to Garter Day involves the work of many different people; a combination of individuals and teams from the Royal Household, the College of Arms, the Armed Services, the Police and those from St George’s all come together to ensure the day takes place as smoothly as possible for not only the Queen and members of the order but also approximately 8,000 other people in the Castle; about 900 of whom are inside St George’s Chapel. 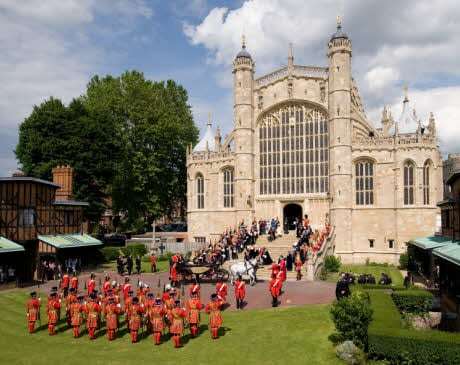 The clergy, the musicians, the chapel staff, the cleaners, the works team, many volunteers and the office staff at St George’s have all worked together to ensure that not only the Garter service goes well but also all else that happens on that day runs as smoothly. Garter day is a time when most of those who live in the Castle entertain – so an individual’s day combines the unexpected mix of looking after and feeding guests together with the ceremonial, the practical and, most importantly, the Service. The Chapel is very much a working church – the Garter service is one of four services that day; every day of every week of every month of every year there are a minimum of three services open to the public. On the Sunday before Garter Day the community at St George’s came together to renew promises made in support of the spiritual home of the Order of the Garter and the day after the departed Knights of the Garter were remembered at a Solemn Requiem.